Riccar vacuum cleaners have been in business for the past 55 years and the organization is driven by the passion to create superior quality vacuum cleaners. The company has always upheld high standards by offering durable, reliable and exceptional cleaning abilities. Riccar Vacuum cleaners are sturdy and reliable. Premium Radiance: Matchless cleaning performance is guaranteed through its revolutionary Tandem Air System technology while its HEPA Plus Filter will capture 99.97% of particles. Radiance: A host of interesting features including reinforced metal pivots, high-flow clean air motor and on-board tools ensure greater durability, higher performance and high efficiency filtration. Brilliance: The brilliance of this series shines through its unique and outstanding features such as Tandem Air System technology. It is available in premium, deluxe and standard models. 8900 Premier Series: A 6-stage advanced filtration combined with metal bottom plates ensures outstanding cleaning and exceptional durability. This premium series is available in various models including 8955 Vacuum, 8905 Vacuum, 8900 Vacuum and Commercial. The commercial category has two models – 8925 and 8920. Vibrance: Made from metal components, these stylish vacuum cleaners are more durable. HEPA filtration, a floor selector and various other features guarantee an outstanding performance. The models available include classic, standard, deluxe and premium. All the four categories come with the option of with or without tools. Commercial Vibrance: This particular model is meant for heavy-duty commercial use and it can truly handle the toughest of cleaning tasks. You have the option to add on-board tools to make this machine work in a more efficient manner. 1800 Premium Canister: This top-of-the-line vacuum cleaner is known for performing superbly but quietly on all kinds of flooring surfaces. A host of luxurious features including the quick-release wand and a dirt sensor alert make this premium canister a must have. 1700 Full Size Canister: A 12 amp motor power along with 7-stage 100% sealed HEPA filtration makes this beauty an absolutely cleaning marvel. Pristine Mid-Size: This truly amazing vacuum is designed to clean different kinds of flooring surfaces ranging from rich hardwoods to ultra-plush carpets. Charisma Mid-Size: The compact power nozzle combined with 100% HEPA filtration and a 3-ply HEPA vacuum bag make this a truly remarkable product. Starbright Mid-Size: The powerful suction of this vacuum cleaner makes it ideal for homes with marble, ceramic tiles, hardwoods and parquet flooring. 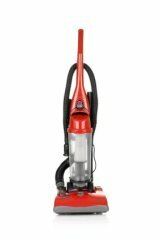 Pizzazz Compact: The compact size of this vacuum cleaner cannot be undermined since it is known for its extremely powerful suction, astounding versatility and maneuverability. 1500P: This mid-size canister is packed with a bunch of features including six height adjustment settings and a power nozzle that facilitates cleaning on all kinds of floors. Moonlight Compact: Exceptional cleaning performance is guaranteed with this model that boasts telescopic wand, high performance HEPA filter and electronic speed control. Sunburst Subcompact: This completely compact vacuum cleaner is a power machine that can perform exceptionally. It comes packed with a host of interesting features. RSL5: Unbelievable but true! Weighing less than 8 pound, this Ricaar vacuum cleaner is a perfect combination of superior cleaning performance and ease of use. RSL4: Weighing just 8 pounds, this beauty too performs exceptionally thanks to its two-speed motor, sturdy built and HEPA filter. RSL3: This lightweight vacuum cleaner can sparkle your home within minutes with the help of its power packed functionalities including an advanced filtration system and an on/off switch for easy accessibility. RSL1A: It is lightweight enough to be easily maneuvered around the house and its cleaning powers are exceptional since it can clean various kinds of floor surfaces. Riccar Vaccum cleaners are a great choice for those looking for a reliable vacuum cleaner.